In my book “Emotional Freedom,” I emphasize the importance of learning how to stay centered in a stressful, highly emotionally charged world. Since research has shown that emotions can be contagious, you can potentially “catch” fear, anger, or joy from people without realizing it. If you tend to be an emotional sponge, it’s vital to know how to avoid taking on an individual’s negative emotions or the free-floating kind in crowds. Another twist is that chronic anxiety, depression, or stress can turn you into an emotional sponge by wearing down your defenses. Suddenly, you become hyper-attuned to others, especially those with similar pain. That’s how empathy works; we zero in on hot-button issues that are unresolved in ourselves. Negative emotions can originate from several sources. What you’re feeling may be your own; it may be someone else’s; or it may be a combination. 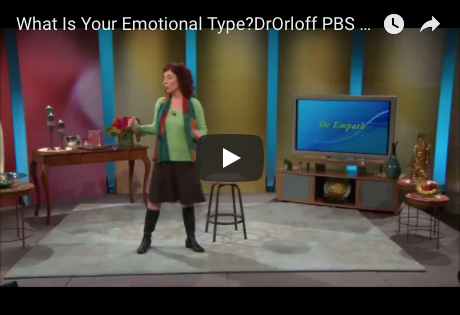 I’ll explain how to tell the difference and strategically bolster positive emotions so you don’t shoulder negativity that doesn’t belong to you. This wasn’t something I always knew how to do. Growing up, my girlfriends couldn’t wait to hit the shopping malls and go to parties, the bigger the better–but I didn’t share their excitement. I always felt overwhelmed, exhausted around large groups of people, though I was clueless why. “What’s the matter with you?” friends would say, shooting me the weirdest looks. All I knew was that crowded places and I just didn’t mix. I’d go there feeling just fine but leave nervous, depressed, or with some horrible new ache or pain. Unsuspectingly, I was a sponge, sensing the emotions of people around me. 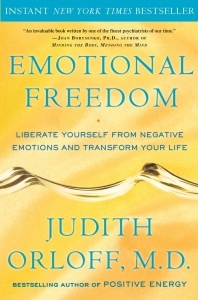 Here are some strategies from “Emotional Freedom” to practice. They will help you to stop taking on other people’s stress. Tip #1: First, ask yourself: Is the feeling mine or someone else’s? It could be both. If the emotion such as fear or anger is yours, gently confront what’s causing it on your own or with professional help. If not, try to pinpoint the obvious generator. For instance, if you’ve just watched a comedy, yet you came home from the movie theater feeling blue, you may have incorporated the depression of the people sitting beside you; in close proximity, energy fields overlap. The same is true with going to a mall or packed concert. Tip #2: When possible, distance yourself from the suspected source. Move at least twenty feet away; see if you feel relief. Don’t err on the side of not wanting to offend strangers. In a public place, don’t hesitate to change seats if you feel a sense of depression imposing on you. Tip #3: For a few minutes, center yourself by concentrating on your breath: This connects you to your essence. Keep exhaling stress inhaling calm. This helps to ground yourself and purify fear or other difficult emotions. Visualize stress as gray fog lifting from your body, and hope as a clear light entering. This can yield quick results. Tip #4: Stressful emotions such as fear frequently lodge in your gut. Place your palm there as you keep sending loving-kindness to that area to soothe stress. 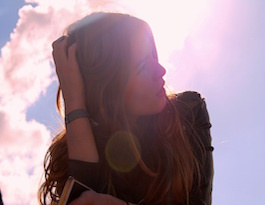 For longstanding depression or anxiety, use this method daily to strengthen yourself. It’s comforting and builds a sense of safety and optimism. Tip #5: Visualize. A handy form of protection many people use, including health care practitioners with trying patients, involves visualizing an envelope of white light around your entire body. Think of it as a shield that blocks out negativity or physical discomfort but allows what’s positive to filter in. Tip #6: Look for positive people and situations. Call a friend who sees the good in others. Spend time with a colleague who affirms the bright side of things. Listen to hopeful people. Hear the faith they have in themselves and others. Also relish hopeful words, songs, and art forms. Hope is contagious and it will lift your mood.